It’s that time of year again when both the spending and donations increase significantly. It’s the season that presents all small business with huge opportunities to gain even further sales. To help maximize your results this holiday season, you should start engaging your audience via your email marketing efforts immediately. 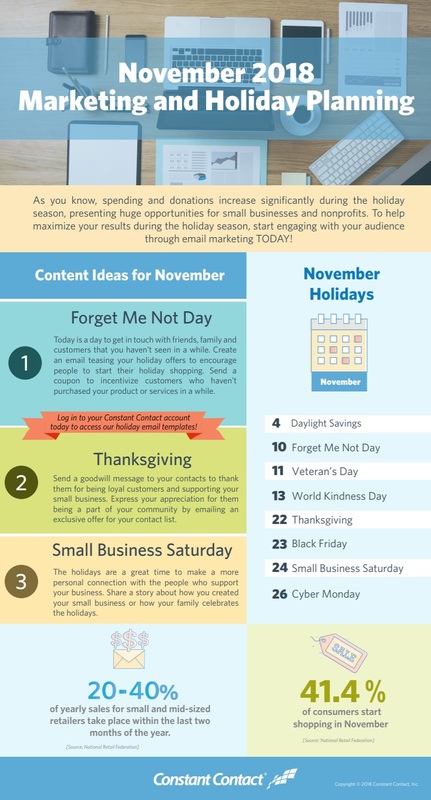 Constant Contact has put together an infographic to help launch your email marketing strategy into this holiday season. What have has your business done so far to ramp up those holiday sales? We would love to hear all about it in the comments below.